Hosted by Rob Hugh-Jones, Pooneh Ghoddoosi, and Rich Preston, each unique feed of Topline provides a 90-second snapshot of the world’s most important unfolding stories, curated for U.S. audiences and made to complement your morning schedule and the Morning Edition® clock. Promote your Topline broadcasts with customizable digital ads. Topline is delivered via ContentDepot file transfer at 6:18, 7:18, 8:18, 9:18, 10:18 and 11:18 a.m. ET each morning, Monday through Friday. The air window runs from ::18:00 - ::52:00. The length of each program is 1:30. Stations airing Topline should subscribe to the BBC Topline page in ContentDepot. If you have questions regarding managing your subscription or how to automate Topline, please contact APM's ICC at 651-290-1563 or via email at icc@americanpublicmedia.org. 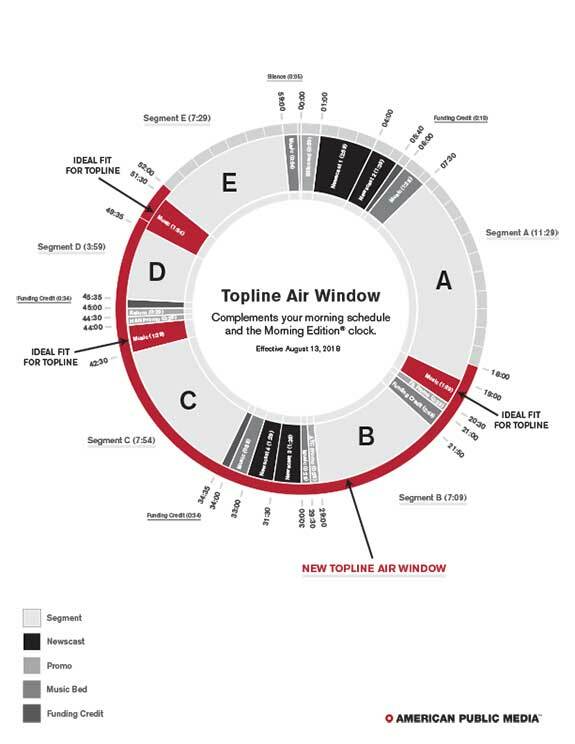 Topline is available to all BBC-carrying American Public Media affiliate stations for broadcast. Topline must be aired from 18:00 to 52:00 each hour; no editing allowed. Simulcast streaming rights are available for BBC programming. See terms and conditions described in the American Public Media Service Agreement. Prior to carrying this series, stations must confirm carriage with American Public Media. 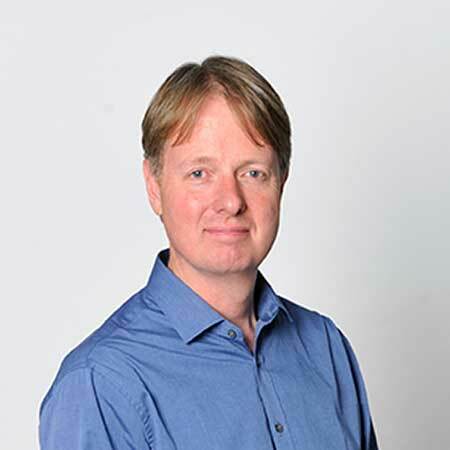 Rob Hugh-Jones is currently Editor of the BBC Partner Hub. Before that, he was Managing Editor of WNYC's The Takeaway, and Managing Editor of PRI's The World, produced with WGBH in Boston. Rob also served as The World's BBC bureau chief for several years. Rob completed his graduate studies at the University of Kentucky in Lexington, so his knowledge of the United States – and American radio audiences – runs deep. 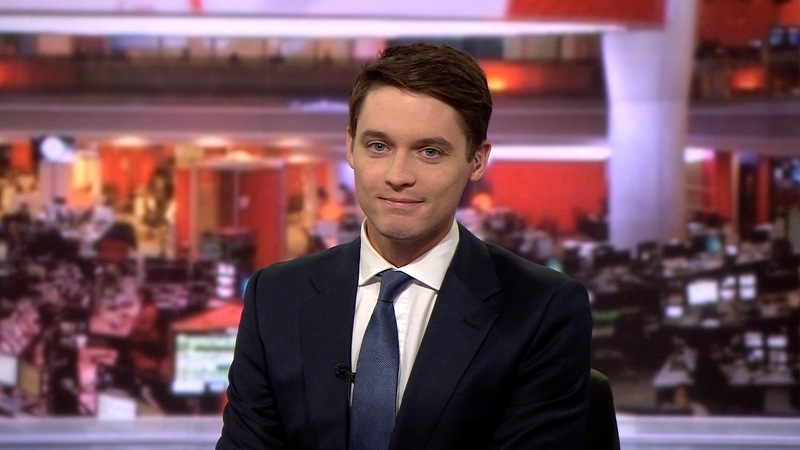 Rob has also worked across many other parts of the BBC. He started as a local reporter in London, then various regions of the UK. He served as news bulletin writer in the BBC World Service newsroom for two years, then as Producer on Newshour, and Senior Producer on Outlook. Rob moved to BBC TV for four years, working on award-winning documentaries for BBC 1 and 2 (the primary BBC TV networks) including Panorama (the BBC's investigative current affairs flagship, which compares to PBS Frontline). Rob has been steeped in international news for the best part of 20 years. He lived in Africa and North America as a child, and is very well travelled. He has covered numerous, momentous global news stories, including the British handover of Hong Kong in 1997, and the seminal Bonn conference in Germany right after 9/11, which plotted a way forward for the U.S., and allies in Afghanistan and beyond. Rob and his wife Alice live south of London and have a very sporty nine-year-old son, Leo, who is crazy about football (soccer) and cricket (you know, that baseball-kind-of-game the Brits and others continue to play!). Pooneh Ghoddoosi is one of the BBC's select group of multilingual presenters. 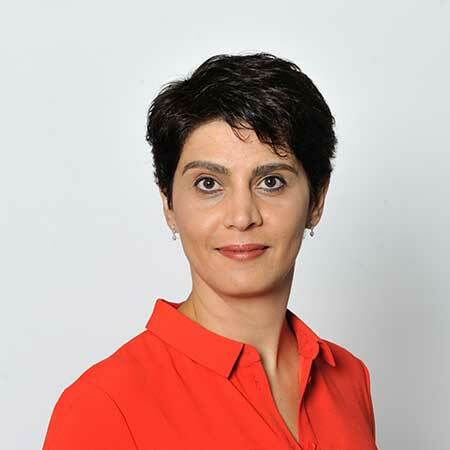 During her 17 years with the organization, she has edited, produced, and presented a variety of programs on BBC World News, BBC Persian Television, and BBC World Service Radio. She presented the award-winning interactive program, Nowbat-e-Shoma (Your Turn) on BBC Persian Television for four years. 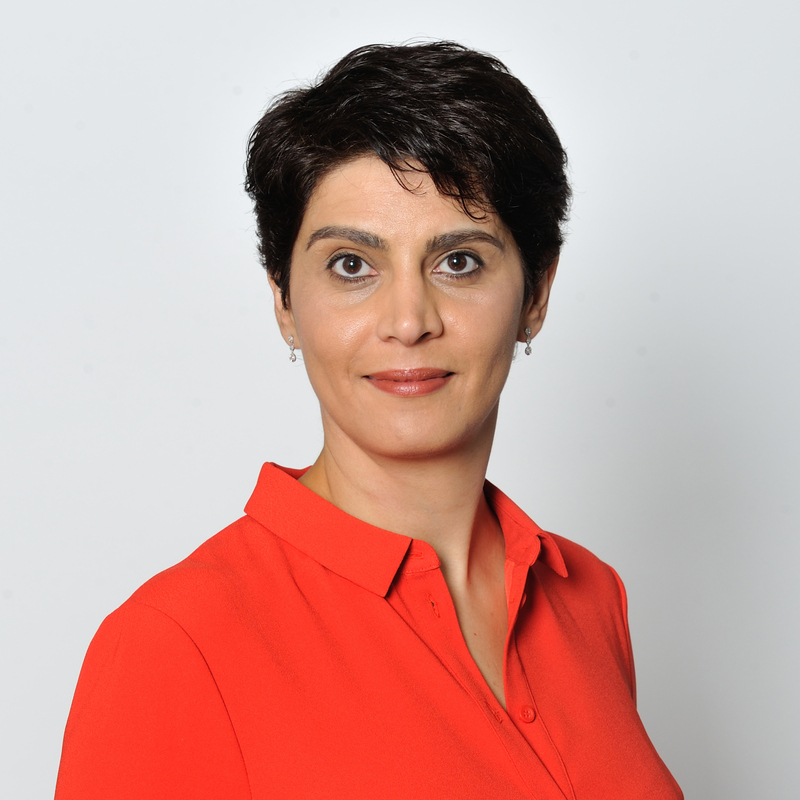 Pooneh has also worked as a Senior Media Trainer with the BBC Academy's College of Journalism. From 2009-2010, she managed a project that examined and promoted the effective use of social media and user-generated content across BBC Global News. This resulted in a new set of editorial guidelines for social media and UGC, currently being used by staff. She is currently a senior broadcast journalist with the BBC's Partner Hub, taking care of the organization's international partner stations around the world, among them, over 500 U.S. public radio stations. She began her career in journalism 27 years ago, in her birthplace, Iran, working for The New York Times and The Wall Street Journal. Rich Preston is a broadcaster with the BBC World Service. As part of the Partner Hub team, he reports on international stories to audiences around the world. Producing and hosting Topline, Rich reports global stories to U.S. breakfast radio listeners. In his previous role as a producer covering Europe, Rich reported on some of the biggest events to shape the continent over the past few years, including the Scottish Independence Referendum, the Brexit vote, and the terror attacks in France and Belgium. 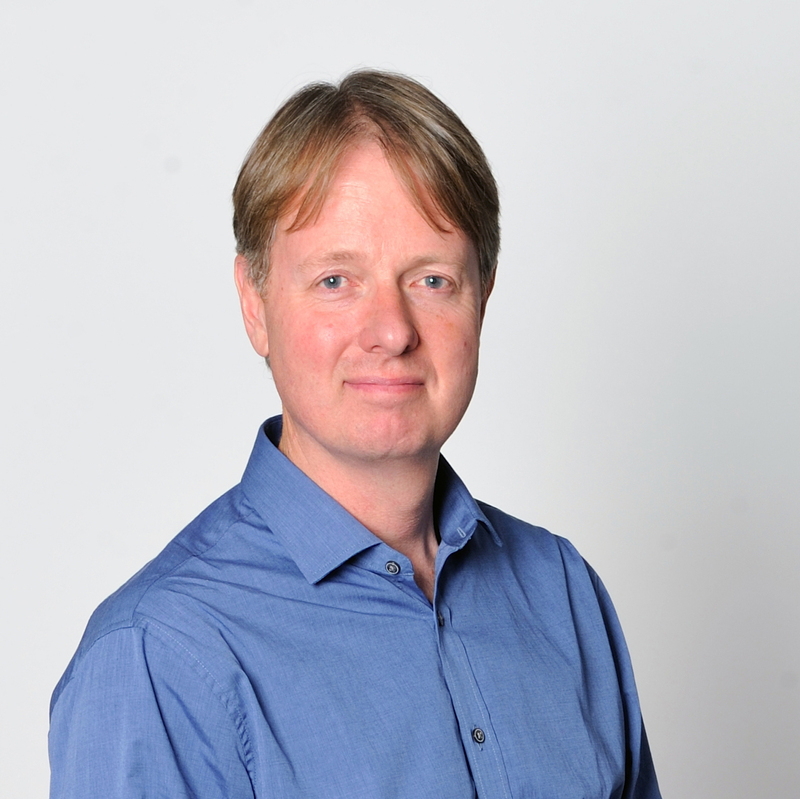 During his nine years at the BBC, Rich has also produced arts programs, documentaries, and reported on technology stories. 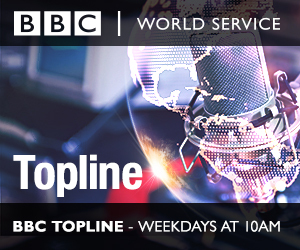 Use Topline between 18:00 to 52:00 for consistent global news updates during Morning Edition. The BBC Partner Hub's mission is to better serve BBC partner stations around the world. The 10-person team is based primarily in London, making and disseminating tailored radio content for stations from the United Kingdom to the Philippines, to South Africa and the U.S. The team's Washington, D.C. producer, Dave McGuire, focuses solely on U.S. stations. Together, they offer relevant, short-form, flexible, "in the minute" news content and compelling features from the BBC. Led by Rob Hugh-Jones since its formation in 2012, the Partner Hub's primary focus is U.S. public radio stations, with Topline new bulletins that complement Morning Edition. Topline is carried on more than 160 stations and reaches over 3 million listeners each week*.